The Light Pad Revolution is the perfect ergonomic tool for artists, designers, animators and more. This unique revolving Light Pad provides artists the option of conveniently rotating their project, eliminating the need for repositioning. The rotating disc can also be locked in place with the exclusive Disk-Brake - securing any project from unwanted movement. A 5 degree indexed disk guide allows for exact measurement when undertaking precise projects. 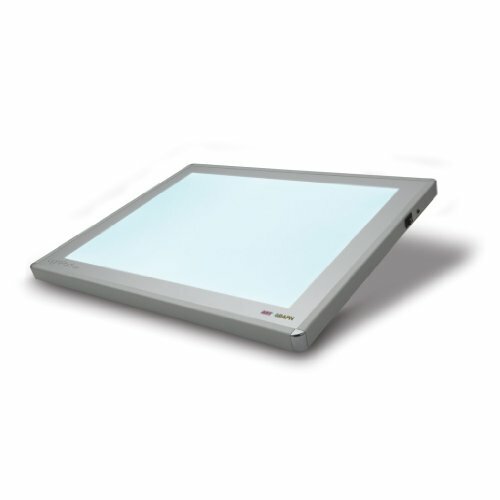 Advanced Super Bright LED technology allows the Light Pad Series Light Boxes to shine brighter, run cooler and use less energy-providing up to 50,000 hours of maintenance free creative brilliance. If you have any questions about this product by Artograph, contact us by completing and submitting the form below. If you are looking for a specif part number, please include it with your message.